74 RS Aeros entered an event in the RS Aero UK Winter Series 2017/18. What a Series it was! Freezing temperatures at Yorkshire, gales at Grafham, rain at Roadford, more freezing Easterly Beasterlies at Island Barn and last but not least the interesting obstacle course challenge of the Hamble River! With a central country drought (wouldn't have known it on the coast!) the Bloody Mary was swapped for the Emsworth Slipper Shiver and the Steve Nicholson at Northampton was cancelled, both due to a prolonged low tide inland. This gave a 10 event series visiting 3 new locations. 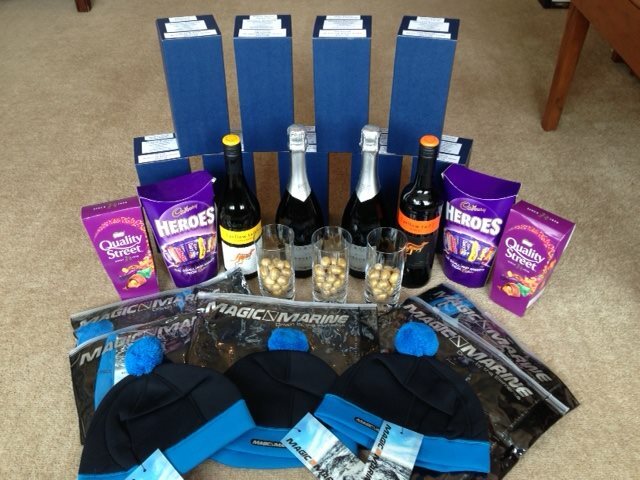 With just 3 events required to qualify and with the events touring the country, from Yorkshire to the Cornish border, sailors were able to compete for the series without too many winter miles travelled. 8 different sailors won an event and 13 completed a series. Two tie breaks decided the top spots with Peter Barton pipping Steve Cocherill for 1st overall with identical results whilst Paul Bartlett snuck 3rd off Noah Rees. In a late charge towards the top of the scores, Toby Schofield claimed 5th after winning the Hamble Warming Pan from Gareth Griffiths who was one behind in 6th overall. 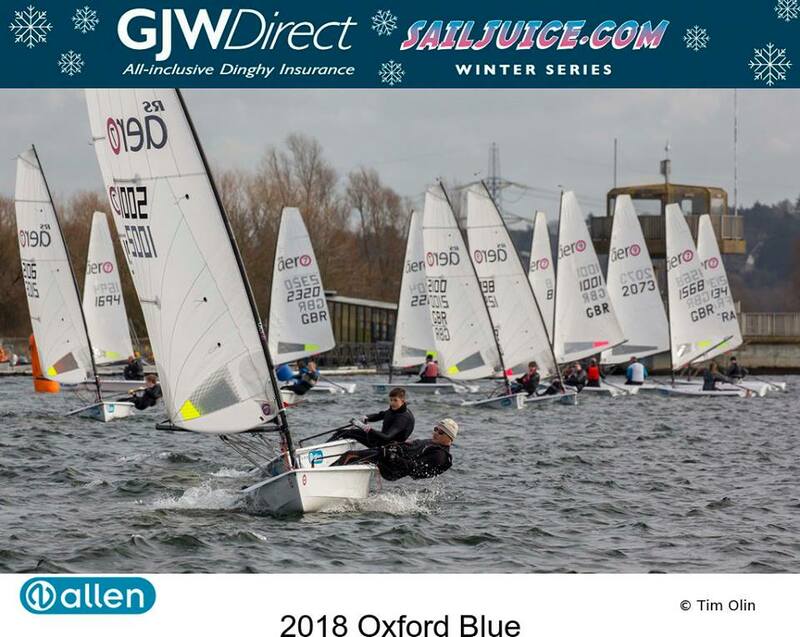 Chris Larr in 7th made a good showing in the SailJuice Series, several of whose events we used, to finish a creditable 10th out of 350 entries in that series! Top Youth was Noah Rees who won at Rutland. Roscoe Martin ended the series as 2nd Youth after winning at Notts County. Top Lady was Sarah Cockerill, ahead of Top Lady Youth, Alice Lucy. 'One event wonders' included Alan Beaton who won the first event, the Brass Monkey at Yorkshire Dales, and Jeff Davidson who topped the results at the Class' Sustainability Champs at Island Barn during those freezing easterlies we had in March. A whopping winter turnout of 41 RS Aeros entered the Oxford Blue for the RS Aero UK Winter Champs and were rewarded with a pleasantly mild winter day's racing in a nice light/medium breeze. A report on each individuals event can be found on the Class' Results Page. The prize giving for the RS Aero UK Winter Series, together with the prize giving for the RS Aero UK Winter Champs and the prize draw from the Winter Series qualifiers for the '50% off a new sail' discount voucher kindly provided by RS will be held at the RS Aero Spring Championships at Burghfield SC on 14th April, entry is now open!